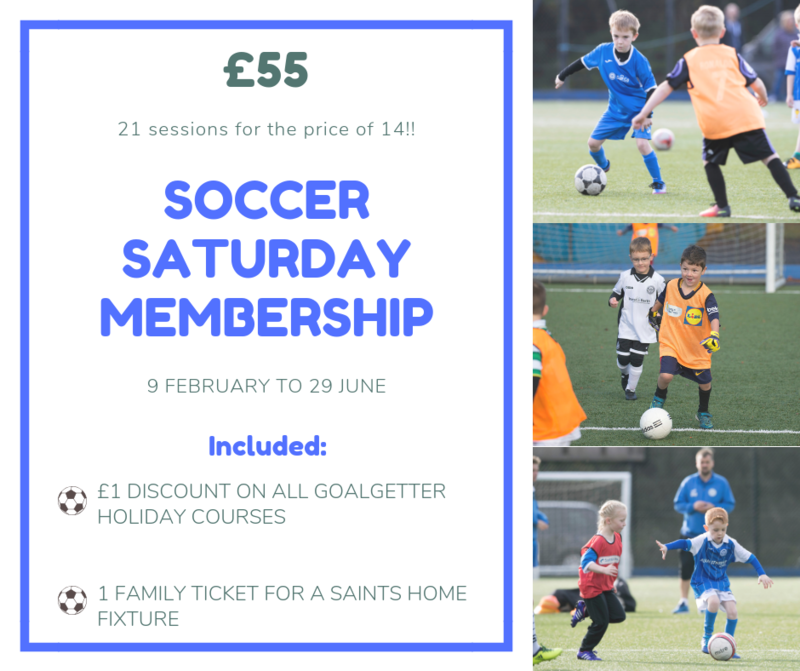 Our £55 Soccer Saturday membership, which can also be utilised by attendees of our Mini Kidz programme, is now available to purchase for the period 9th February to 29th June 2019. 21 sessions for the price of 14! £1 discount on all goalgetter holiday courses. Receive one family ticket for a St Johnstone home fixture. Already registered? Simply log-in and select your participant, add our 'pre-booked' membership to your basket and click the yellow PayPal button. Still haven't created an account? Register your child for our Soccer Saturday or Mini Kidz programme now. All purchased membership cards will be available to collect at our Saturday sessions.